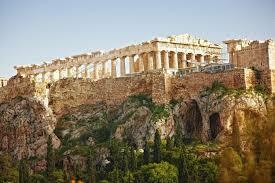 The original models for modern constitutional democracies were the republics of Athens and Rome. They failed to keep their constitutions viable and fell to dictatorships: Athens to Alexander the Great; Rome to the Caesars. For many centuries after that the conventional wisdom was that democratic republics did not work. The American founding fathers thought they could prove this wrong. Their design is now being seriously tested. Each of the classical republics had plenty of warning of the danger of weakening republican institutions being trumped by demagogues and men on horseback. They were unable to remedy their defects and they fell. The victory of Donald Trump in the US presidential election is one of a series of signs, over the past couple of decades, that the American system of government is in trouble. The question is: can it haul itself back from the brink? The decay of the Roman republic is still our most instructive case study in how representative institutions can become gridlocked, corrupted and dysfunctional. The rot set in after the defeat and destruction of Carthage, in 146BC. For America, the problems seem to date from the end of the Cold War. In Rome’s case, a century of growing political crisis — without significant external enemies — culminated in the fall of the republic and the creation of the principate, the rule of Augustus Caesar. The crisis in US institutions is not yet as grave as that in Rome, even a century before Augustus. But it is serious. And the US does have external enemies who view it with malign intent. We also live in an age in which things can move with extraordinary speed. It is, therefore, vital that the election of this rank demagogue by a disgruntled and largely ignorant mass of American voters concentrate minds about where the great republic in America is heading. The expressions of alarm that Trump’s rise has caused and the spooked reaction of global markets to his electoral victory centre on three things: his apparent incoherence and irresponsibility as regards geopolitics and alliance rela­tionships; his narcissistic and amoral personality; and his populist rhetoric, stoking domestic xenophobia and racism. The markets are bracing themselves for volatility and policy shocks. US allies, of whom this country is one, are facing years of uncertainty and strategic instability. Rather than indulge in fevered speculation about the immediate future, we badly need to put Trump into historical perspective. The fate of the classical republics should be a key reference point. A second is the debates by the American founding fathers about how to set up a modern republic that would do better than Greece or Rome. A third is the reflections by Alexis de Tocqueville in his 1830s classic, Democracy in America. A fourth is that all modern “democracies” have gone through crises and generally have emerged stronger from them. Listening to Trump campaign kept making me think of the figures who fought over the declining Roman republic; especially Lucius Cornelius Sulla, who seized power as a dictator, rammed through constitutional reforms that he claimed would buttress the old order but that in fact helped to undermine it, then retired and watched the crisis begin to deepen. Sulla was not a populist, as Trump is, but Trump brings Sulla to mind because in the name of reforming a decadent constitutional order he threatens to bring it down. The exchanges, in 1787-88, between Alexander Hamilton, John Jay and James Madison that became known as the Federalist Papers, also come to mind in these circumstances. Those letters to the American people were written by three highly educated founders under the name Publius, signifying their consciousness of Roman history and their concern to address a free public. Their central preoccupation was to define the nature of “popular government” such that freedom could be exercised without descending into anarchy. They saw themselves as conducting an experiment, as Hamilton expressed it, on behalf of all mankind. They sought to devise what they called “republican remedies” for “the diseases most incident to republican government”, so free men could govern themselves well and not require an authoritarian sovereign of the kind prescribed by Thomas Hobbes in his classic 17th-century treatise Leviathan. Tocqueville, a French observer writing a half-century later, in the age of that controversial populist president Andrew Jackson, admired the vigour of American democracy. But he was concerned about two things: the dangers of a tyranny of the majority and the implications for public policy of the inevitable closing of the frontier and the ‘‘filling up’’ of the continent, reducing outlets for the marginalised and disgruntled. On all these points and many others, this is a good time to read or — re-read Tocqueville — as a spur to thinking deeply about American democracy. As for other democracies, it might be good to reflect on the checkered history of democracy in France since 1789. Hannah Arendt memorably wrote, in On Revolution (1963), that the French Revolution, which ended in dictatorship, had become the very model for modern revolutionaries; whereas the American Revolution, which was triumphantly successful, had been largely ignored. Between 1789 and 1958, France swung between republic and monarchy, democracy and dictatorship several times. Hence its current Fifth Republic. Crises need not be terminal. We might all ponder these words, as we rub our eyes in astonishment that Donald Trump has become the embodiment of Uncle Sam in our time. For the American Constitution does need some rethinking. As perhaps does our own, too.